MC Mining unveiled details of R468m first phase metallurgical and thermal coal mining development – Makhado – in South Africa’s Limpopo province which will begin construction in the third quarter producing 1.1 million tonnes a year (Mt/y) of saleable coal. As part of funding readiness, the company plans to raise $30m (R433m) in shares, some of which will be used to repay a $8.3m (R120m) loan to the Industrial Development Corporation (IDC), a shareholder in the project. A delay over property ownership rights affecting Makhado’s construction resulted in the IDC loan falling due prior to cash flow generation, the company said. Delays were also behind the decision to phase the project compared to an earlier iteration, called Makhado Lite, which was aiming at 4.4Mt/y run of mine (ROM) coal. In terms of the 3Mt/y ROM first phase, there will be beneficiation on site before sending 2Mt/y ROM of MC Mining’s Vele Colliery – placed in mothballs following a re-engineering process – which will yield the 1.1Mt/y saleable coal consisting of 0.54Mt/y in metallurgical coal and 0.57Mt/y in thermal coal. “The company is in advanced thermal coal offtake discussions with various parties and expects that the marketing and fundraising elements will be completed in early Q3 [third quarter],” said David Brown, CEO of MC Mining in a statement. “The planned commencement of construction later in Q3 CY2019 [third quarter in the 2019 calendar year] also reduces the period for delivery of saleable coal to market and generates positive returns for shareholders in the near-term,” he said. MC Mining reported an interim loss from continuing operations of $3.6m, an improvement over the $97.3m loss at the half-year in the previous financial year, largely owing to the write-down of Vele Colliery in that period. Cash was also lower, roughly halving to $5.5m after having paid for the disputed Makhado properties. In terms of the property dispute at Makhado, MC Mining was able to negotiate a payment of $3.2m related to the owner of Lukin and Salaita farms. There is still a dispute with between the South African government regarding the ultimate ownership of the farms. If appropriated without compensation, MC Mining stands to lose the $3.2m. MC Mining has one operating centre at Uitkomst, a thermal coal mine in KwaZulu-Natal province it bought from Pan African Resources in April 2017 for R275m. There were problems with plant and machinery availability related to a maintenance backlog that was carried out during the period under review. Employee shifts were also re-organised, the company said. The outcome was lower production from Uitkomst in the six months ended December 31 of 237,715 tonnes (2017: 265,609 tonnes). Sales were also significant lower, falling to 163,487 tonnes (308,275 tonnes) owing to a major reduction in third party supplies. 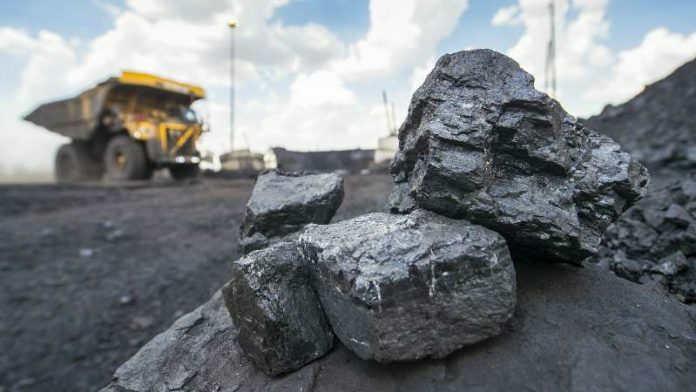 However, a 61% increase to $88,91/t in the average thermal coal price helped the mine to earnings before interest, tax, depreciation and amortisation (EBITDA) of R46.3m compared to a profit of R45.2m in the previous half year. “Despite the challenges in the 18 months since acquisition, the colliery has delivered a profit before tax of some R96.3m or $6.9m over that period which clearly demonstrates that Uitkomst has been a superb investment for shareholders,” said Brown.